Make some gorgeous Christmas salt dough ornament keepsakes as decorations and as the perfect gift for grandparents and teachers! 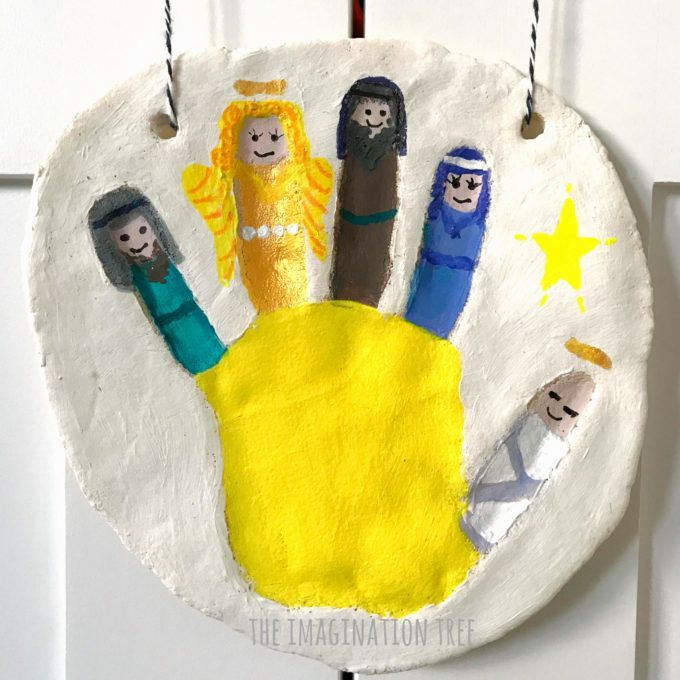 We are HUGE fans of using DIY salt dough to make keepsake ornaments as it’s SO easy to make a batch, perfect for even toddlers to work with, is extremely versatile and lasts for ever! 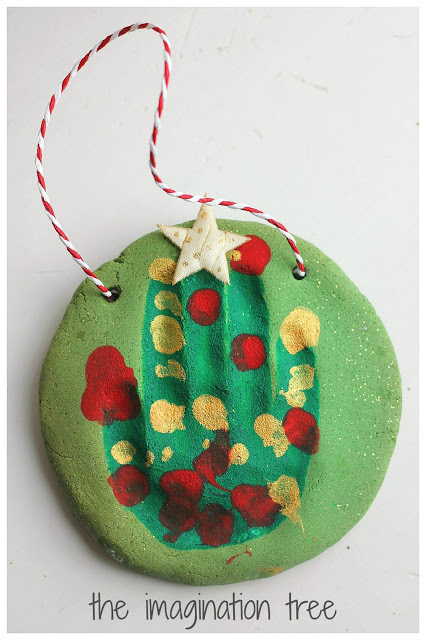 Indeed, because it’s so easy to make we use this same technique every year, changing the theme to build up our collection while also watching their hands grow. 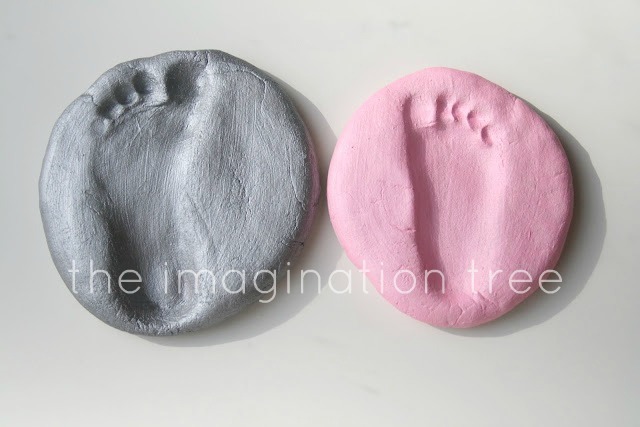 We have used it to capture those very first baby hand and foot prints too! 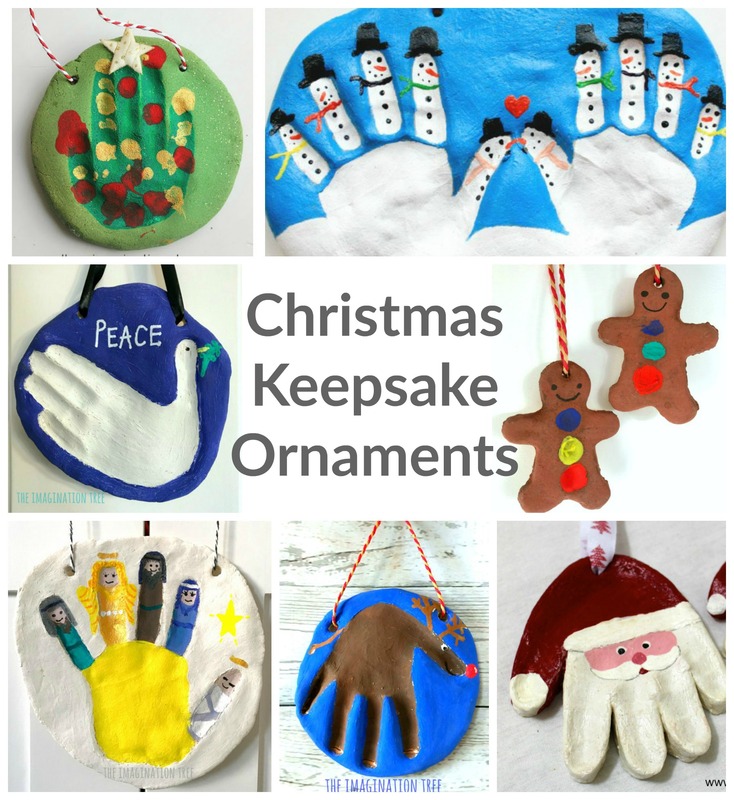 Click on each link to take you to the simple how-to instructions for each keepsake ornament! Let me know which ones you will try this year! This one is a classic and so gorgeous! Find it over at Messy Little Monster. I think this keepsake is my absolute favourite! Another classic character, any just so adorable! 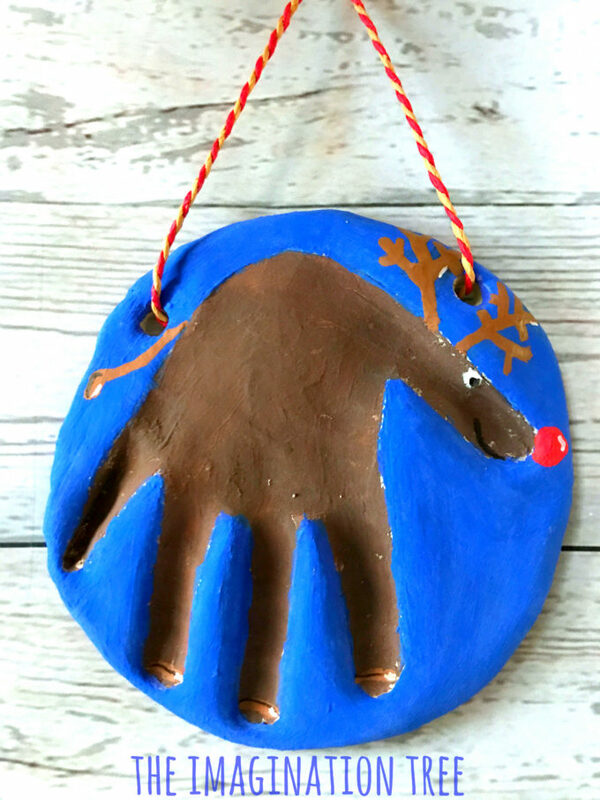 Such a cute keepsake that uses all of the fingers to make individual snowman friends. 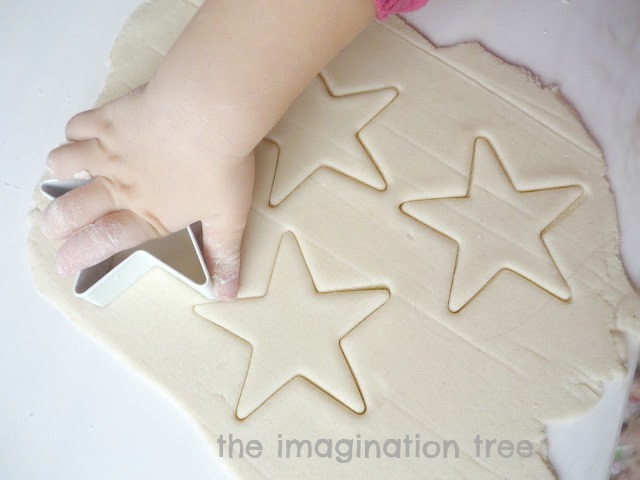 Find it over at Learning and Exploring Through Play. 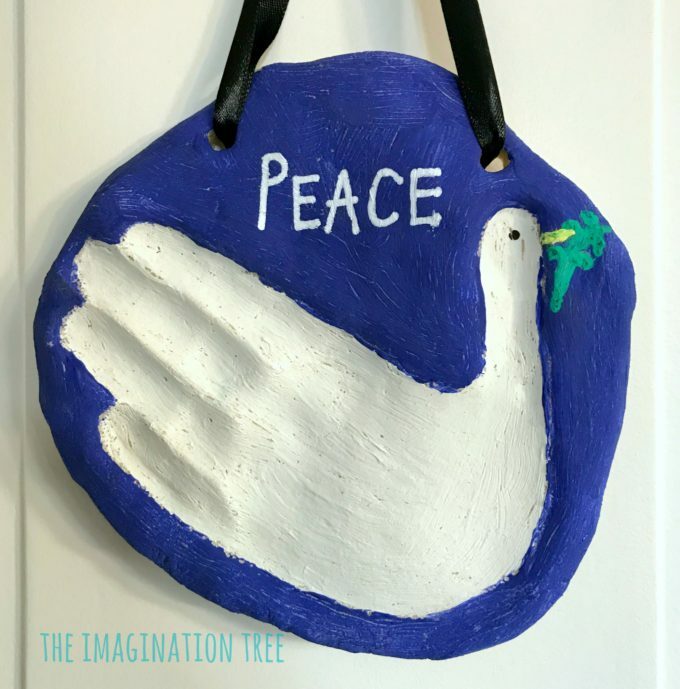 This was last year’s keepsake and such a lovely message for Christmas! 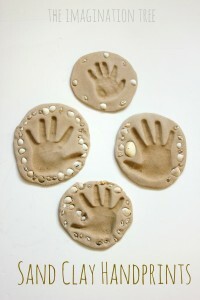 I love how little and cute these are, plus the fact that they capture fingerprints to make the buttons! 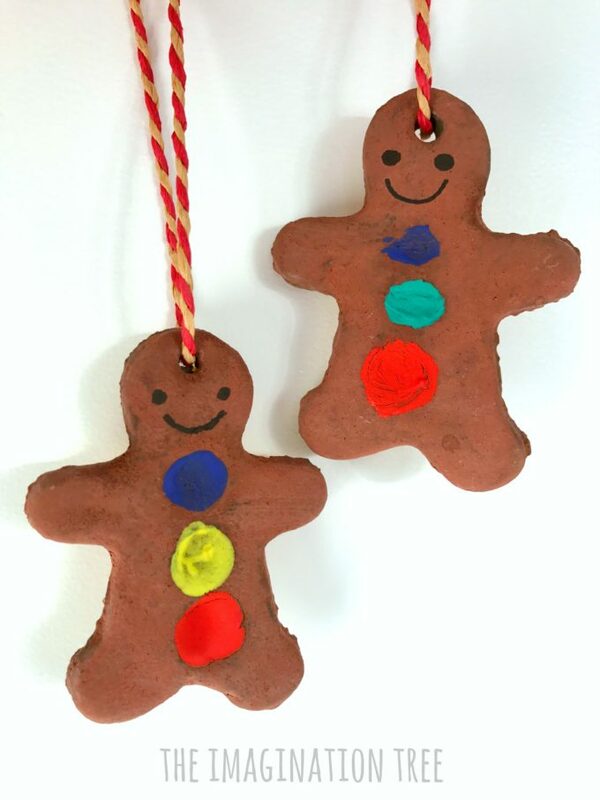 Another favourite, this time using coloured salt dough and decorated afterwards by the kids using fingerprints! 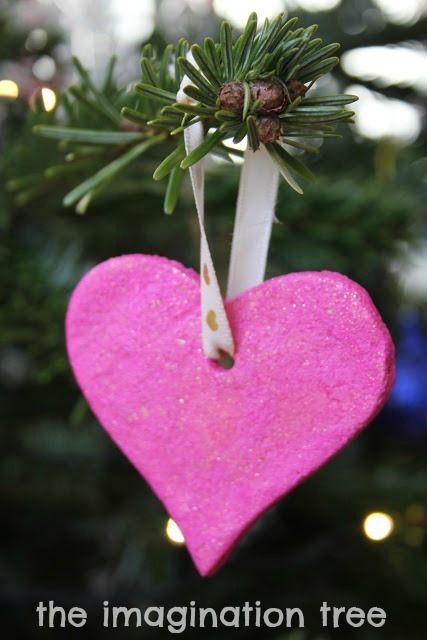 These are our go-to ornaments for new baby keepsakes! 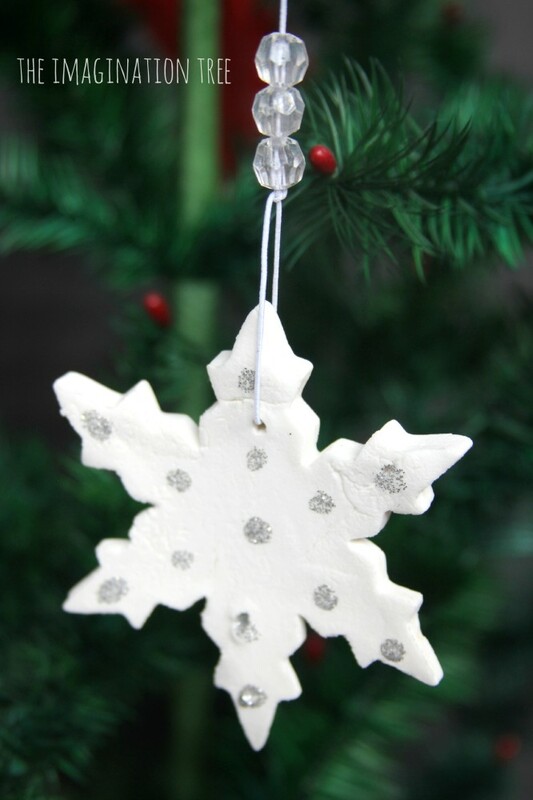 This bright white clay is amazing and looks spectacular when rolled in silver glitter! 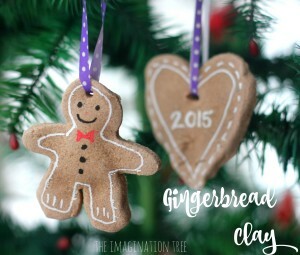 This DIY clay was an experiment that worked really well, smelling so much like Christmas and easy to decorate afterwards too! 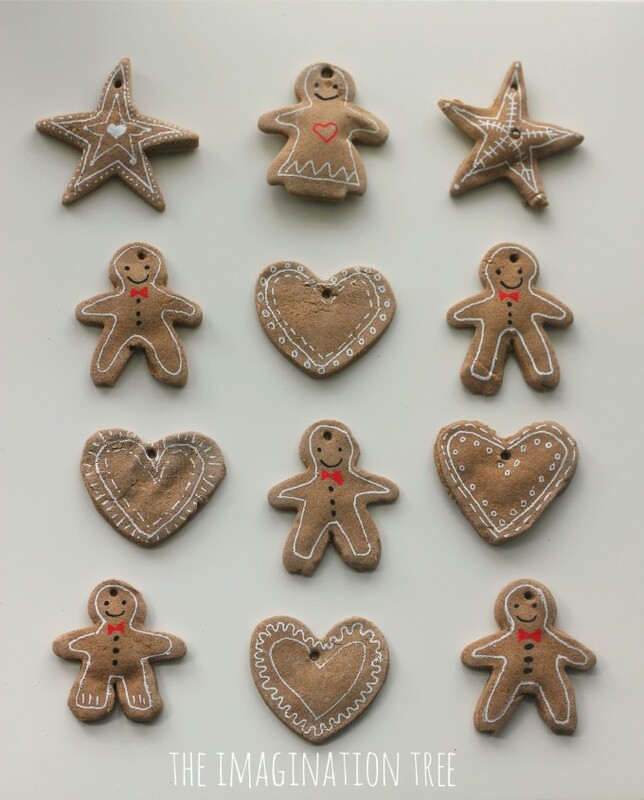 If you’re after the absolute classic salt dough recipe for making failsafe ornaments then this is for you! 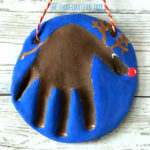 I hope you loved these Christmas salt dough ornament keepsakes and will be inspired to try some of your own this year! 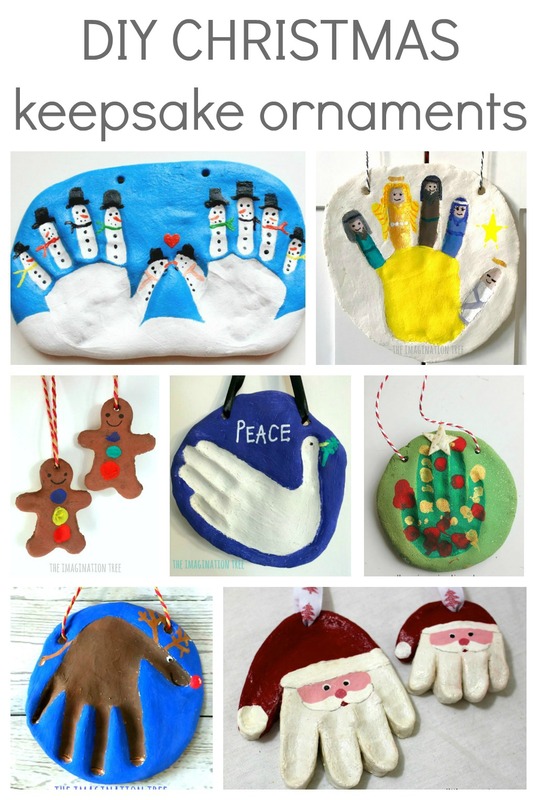 For more Christmas Activities and Crafts search these archives!